This omelette is perfect for those nights when you just can’t be bothered cooking. Of course you can have it for breaky or lunch but I love cooking a quick omelette when I don’t want to cook dinner and don’t want to eat food that I shouldn’t be eating! With not much in the fridge the other night, I thought this omelette would be really bland but was pleasantly surprised. So much so, I had it two nights in a row! In a bowl, whisk together your eggs. Add in the chopped tomatos, onion and seasoning. Wet you baking paper and scrunch out to remove the excess water. Place the paper on the tray of the varoma ensuring there are some holes exposed (I just leave the two outer edge holes exposed). 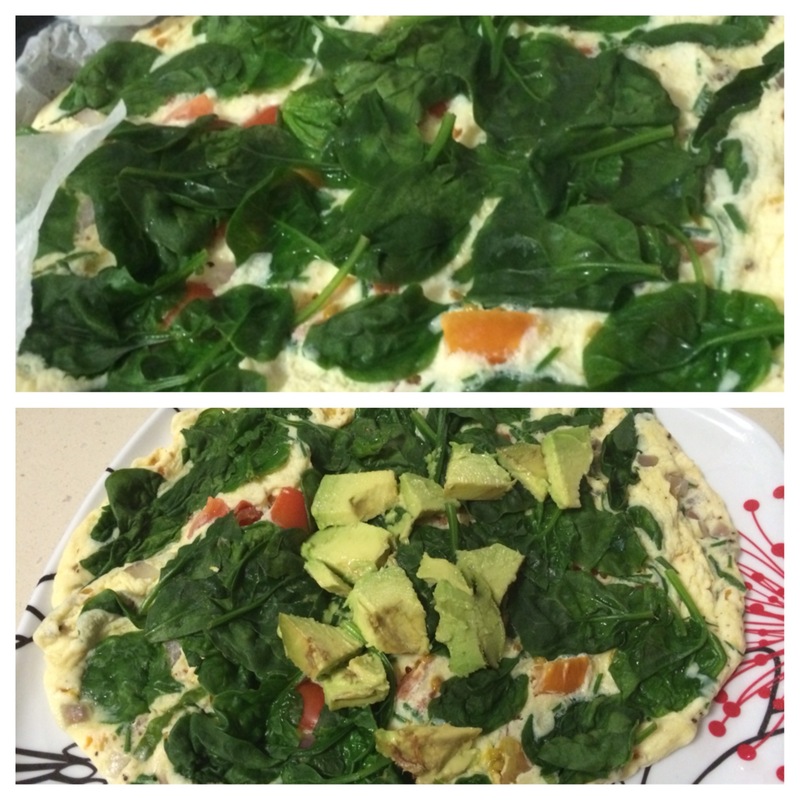 Pour omelette mixture onto baking paper, top with spinach and cover with varoma lid. Cook for 8 mins on varoma temperature, speed 1. Your omelette should start puff up like a soufflé when it’s nearly cooked. 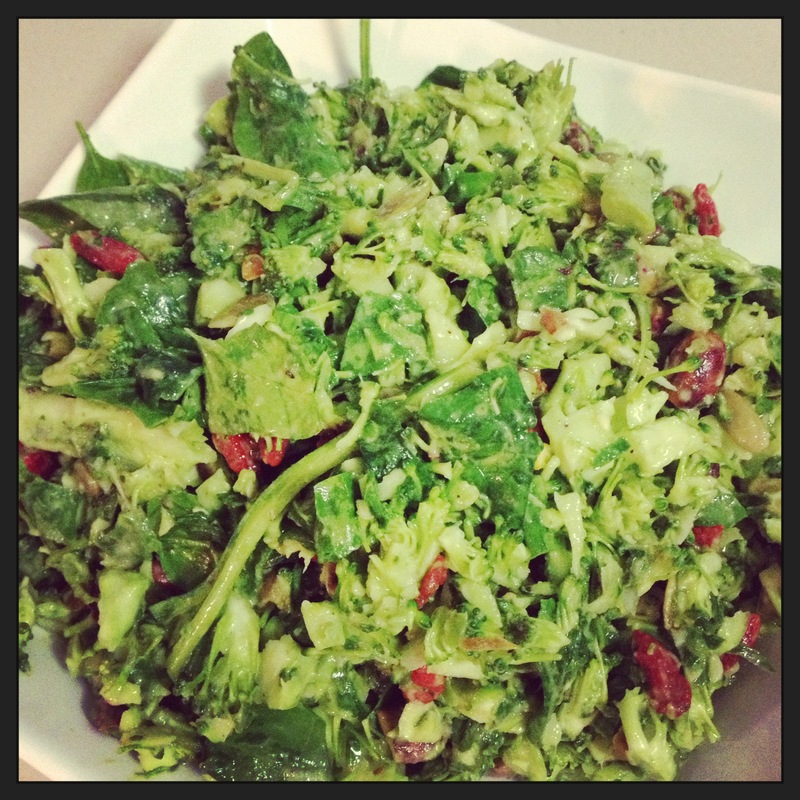 Once cooked, flip onto a plate and top with chopped avocado. I LOVE this salad! My favourite chef, Teresa Cutter has come up with this Superfood Green Tabouli which is so easy to make and great on its own or as a side dish. I made this for dinner and had a small piece of steak with it and had the leftovers for lunch the next day with a tin of tuna. Traditional tabouli is made with bulgur, a cereal food made from the groats of several different wheat species whereas this tabouli is wheat free and the main ingredient is broccoli. I have converted this for the thermomix but if you aren’t lucky enough to own one of these amazing machines, click on the link above for the original method. Place pistachio nuts into TM bowl and chop for 2-3 seconds, speed 5 and set aside. Next, place the spring onions, parsley and mint into TM bowl and chop for 3-4 seconds, speed 8. Add the broccoli and chop for 4-5 seconds, speed 4-5 or until desired consistency. Add the remaining ingredients and mix on reverse, speed 4 for 4-5 seconds.